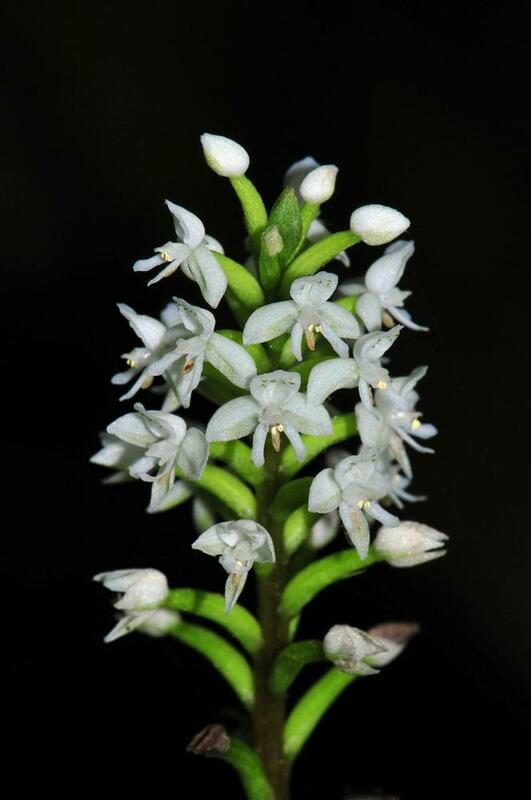 Cranichis muscosa, the Moss Loving Cranichis, is distributed in the West Indies, Central America, and northern South America and north to Florida. The 4-5 leaves grow in a basal rosette and the stem is loosely sheathed by several fluted bracts that get smaller toward the summit. 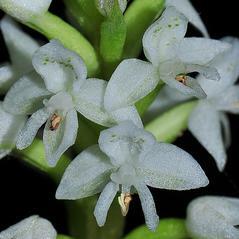 The flowers are non-resupinate and have white sepals and petals. 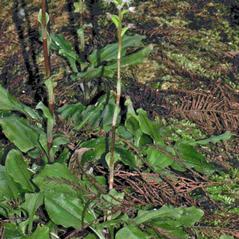 The labellum is white with green flecks. 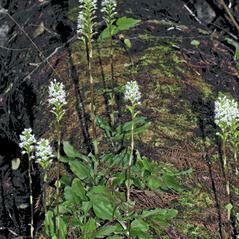 This orchid flowers in January and February, and grows in mossy sinkholes, cypress knees, and rich hammocks. 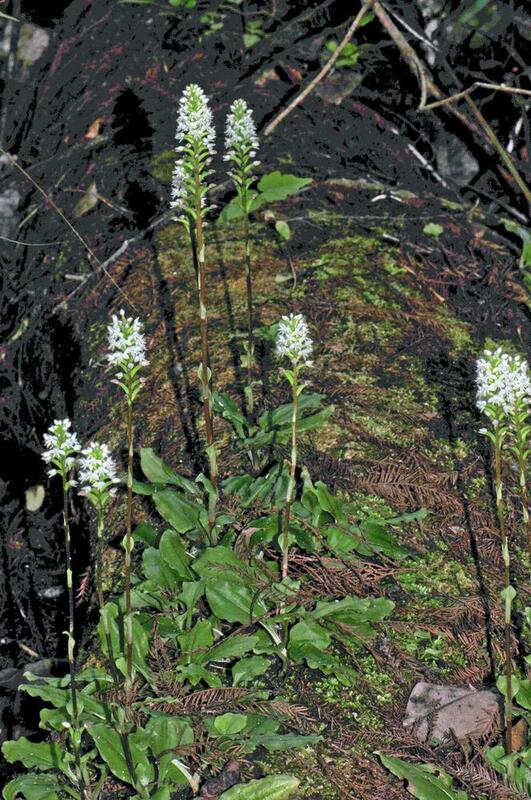 C. mucosa had not been seen in Florida for almost 100 years until several plants were rediscovered in the Fakahatchee Strand Preserve State Park. 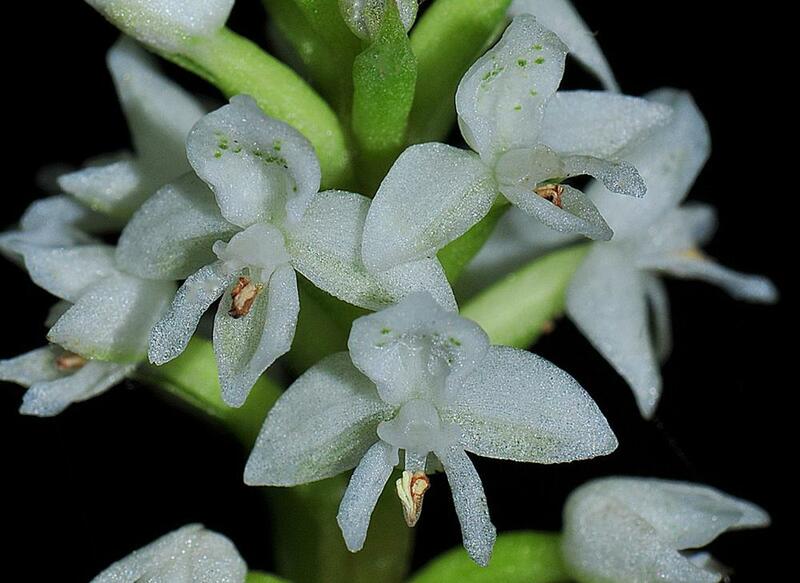 Cranichis mucosa is apparently secure given its broad distribution. 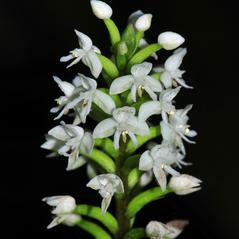 However this orchid is extremely rare in Florida and considered endangered. 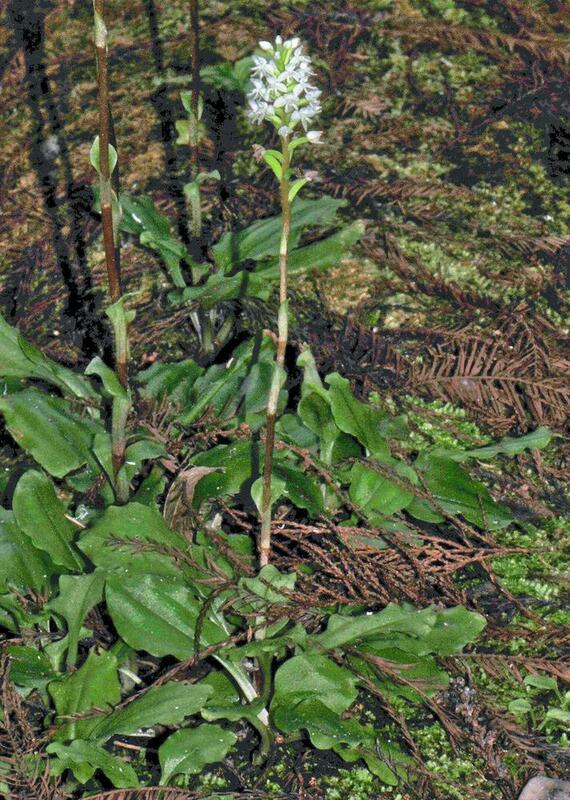 This orchid is suspected to be self-pollinating based on a pollinator exclusion study that showed nearly all flowers formed fruits.